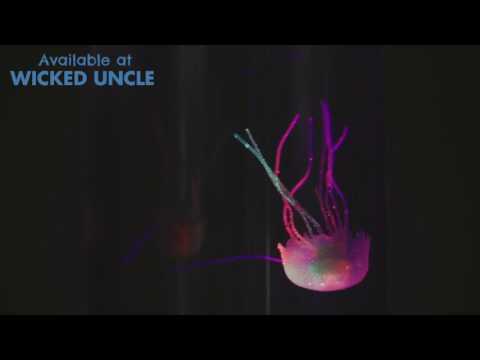 Watch these amazingly lifelike jellyfish glide around the tank as the moodlight changes colour. Standing 24cm tall, the rounded tank holds two jellyfish which swim and glide around with realistic movement provided by jets of air moving the water inside the tank. The triple LED’s light up the tank in three different colours adding a soothing, relaxing feel. Makes a fun decorative addition to any room. Way more exciting than your standard goldfish and they don't need feeding!